The Jammy™ chair, designed by Scott Howard in 2017, combines the best of ergonomic design features with contemporary styling. The chair comes with a five star aluminium base on wheels. 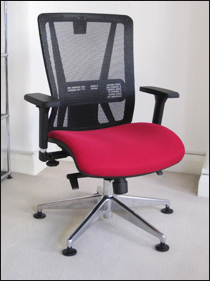 The Jammy™ chair is fitted with a knee tilt mechanism, as standard, which offers the user a tilt facility which is lockable in any position throughout its travel. 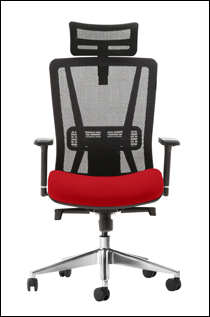 All Jammy™ chairs are fitted with an ergonomic adjustable lumbar support. 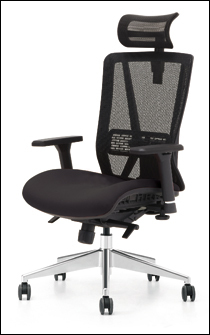 The arm rests are height adjustable and width adjustable. The arm pads can also slide forwards and backwards, as well as pivot. 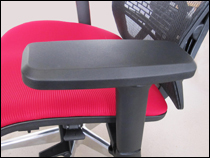 The seat adjustment facility allows the base of the seat to be moved forwards or backwards to accommodate different leg lengths. An unusual additional facility is that the arm rests can be extended sideways to change the width of the chair. All Jammy™ chairs are fitted with a height adjustable head rest, which can be removed by the customers without any special tools. The Jammy desk chair comes with wheels as standard. However, for the same price, we can also offer two options of glides - chrome, or black. 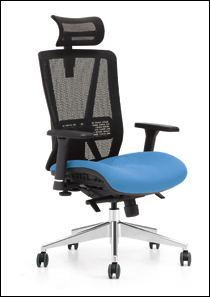 Jammy™ high backed mesh desk chair with arms. Height adjustment and tilt facility. Aluminium five star base with castors. Blue fabric seat. 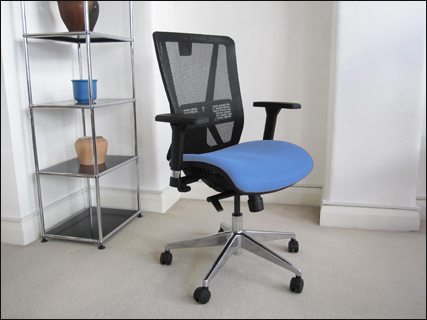 Jammy™ high backed mesh desk chair with arms. Height adjustment and tilt facility. Aluminium five star base with castors. Black fabric seat. 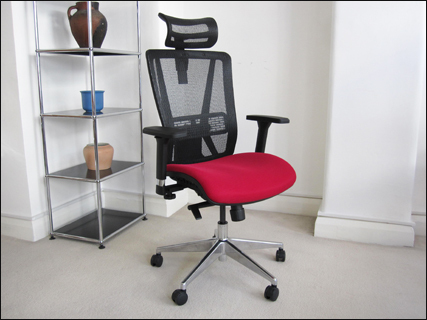 Jammy™ high backed mesh desk chair with arms. Height adjustment and tilt facility. Aluminium five star base with castors. Red fabric seat. 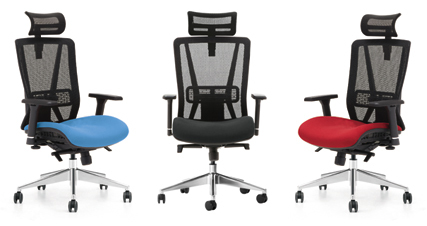 The Jammy™ chair is an original design, manufactured and distributed worldwide by Scott Howard. To assist those looking for the genuine item, you should look for the Scott Howard label of authenticity, before buying anything that portrays itself to be an original.